You've got a crying kid on your hip and two more at your feet. You're tired, you're hungry, and you're standing with the fridge open wondering how you are going to make a meal for five out of half a head of broccoli and some pepperoni. Or does this just happen to me? I've tried many many times to make menu plans. But it's hard. I don't want to be regimented and scheduled in my cooking, i want to have the freedom to experiment and follow my whims. But standing with the fridge open, forty minutes to dinnertime, with no idea what I'm going to make does not sound much like freedom, does it? 1) Scheduling. Meals are planned ahead. 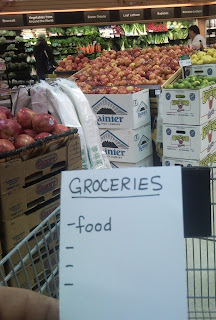 I can make a concise grocery list knowing exactly what i will need. 2) Flexibility. I can rely on what is on sale or available at my farmers market. And i don't have to eat the same seven dinners every week. A few months ago i figured out a solution that works. for me. I hope it works for you too. For each day of the week there is a type of food. Not a specific recipe, but a general theme for dinner. Some days of the week are more specific than others. All of them are based around our sometimes hectic lives. Let me show you what I mean! Sunday: A roast. Beef, chicken, whatever. In the slow cooker. When we get home from church. Often shared with friends. Monday: We have to rush out the door and we don't even all get to eat together, so i keep it simple. Pasta. Probably spaghetti. Maybe lasagna. Tuesday: Not as hectic. Time to really cook. I make a soup or stew using stock or leftover meat from Sunday. And i bake bread. Tuesdays are pretty awesome around here. Wednesday: Casserole. And maybe a salad. Thursday: Pie! Sort of. Chicken Pot pie or shepherds pie, or quiche. Depending on what's cheap. Friday: Pizza! Normally homemade, but not always. Saturday: Mexican. Something with ground beef and spices and probably tortillas (and anything floating around my fridge that needs to get used up!). It's a busy day, it needs a simple meal. 1) I have my options right in front of me. Every Saturday when I make my grocery list I don't have to deal with that grocery-list writer's-block that somehow causes me to be unable to think of a single meal except the one we ate last night. 2) It takes into consideration our busy lives, so i don't have to. When i sit down to make my list i don't need to think "i need something simple for Monday, Thursday and Saturday..." because that is already accounted for. 3) It's my plan, I can change it if I want to. I can swap menus mid week. If I'm having a really crazy Tuesday I can just switch it with the Wednesdays meal without feeling like a complete failure. Or if I'm having people over on Saturday but I don't really want to feed them tacos, I'll just switch with another day. 4) We don't eat the exact same meals every week. And there is room for trying new recipes. 5) My grocery shopping is (finally) pretty efficient. I almost never have to call my husband during the day to ask him to bring home potatoes. Or cheese. Or Chinese take out. Step One: Write down every day of the week. Beside each day, write down any obligation you have on that day. Anything that makes dinner more hectic. Like ballet or soccer or whatever. If you find you are especially tired on Mondays or stressed out on Wednesdays, write that stuff down too. Step Two: Choose some meals, or a type of meal, that would work for each day, keeping in mind the stuff you've written about that day. Step Three: If you are super-duper organized, you could even have the necessary ingredients written under each option. That way, when you make your grocery list and choose your meals for this week, you don't need to look up each recipe! Note: I don't plan breakfast and lunch. I tried that once. By day three I was a frustrated crying wreck. Don't make a plan so specific that it can be completely obliterated by some left over mac and cheese. Talk to me. How do you plan your meals? I never could get things down to a schedule...I've tried but I'm not very well self-disciplined...I just buy a few different things at groceries and I know that the combinations of these different things should last til next pay day. Not always efficient but it works for me. When I'm really in my groove, I do plan menus. For years I've written out a grocery list based on my menu plan for each night of the week (not counting at least one night eating out, usually). That works best for me, and keeps me from having to go back to the grocery store every couple of days. However, since my daughter--the baby of the family--left for college in September, this has kind of fallen apart! I'm having a hard time adjusting to cooking for just my hubby and me, and sometimes it doesn't seem worth the time to cook for just the two of us! I like your style. I'm a menu planner myself. Things go much more smoothly at the grocery store and it's a lot easier on my budget. Not to mention less stress come dinner time! I keep my menus stored in my computer and a hard copy in a binder, with recipes. Then I just pick one out and make my grocery list from that. 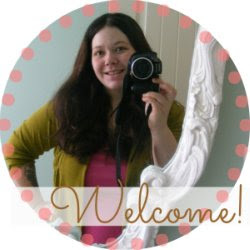 Have you read about Rachel's ideas on her blog? Cheryl: thanks for mentioning that. That is a really great way to stay on top of things and provide a good homemade meal even on the busiest of days! I am a dork. I have a two page spreadsheet that I fill out every two weeks. I put links to the recipes on it and have a column to notate activities that help determine if it is a special meal (quick because of a family activity, potluck where we need to bring something...). I solicit menu ideas from each person in the house so they will at least be happy about one meal! The second page is my grocery list, sorted by category so I can shop the grocery store in an efficient manner. I have to tell you!! I just was reaidng this post and it hit me, outside of Thursday and Saturday, our dinner themes are identical!! LOL. Ok, actually, your Wed is my Thursday, and usually I make fish on Wed (although I am making it on Thursday this week), and Saturdays I leave as "new recipe day" mainly so my husband can whip up whatever. Thats fun! I especially love having something in the crockpot for after church Sunday. Usually in the evening, we will just do leftovers then. Up until 6 months ago, I was working outside of the home, full time, as I had since out of school. Unexpectedly losing my job. and becoming a full time SAHM has been a transition - and I would say I am just now acclimated to the shift. I used to plan meals around what was on sale - and that worked fine then. I have been able to save much more by buying meats that are being marked down due to sell by date approaching, and freeze immediately. I then meal plan around the meats I have at home and what sides are on sale. I have found that this allows us one (if not two) benefits. We either save enough to make a nicer cut of meat more within our budget and / or we stick with many of our standards and save approx 20% on the meat pricing. Either way, I am more than happy to buy the extra freezer bags and spend the time. I also meal plan for the week, but won't pull the meat from the freezer until 1 - 2 days before use. This helps to alleviate the wasting of money by having leftovers (or worse, thawed meat) thrown out. Thanks for all the tips - and I hope someone may find this helpful. I stumbled upon your blog just today and have enjoyed the last hour reading some of your posts. I have a 5-day dinner plan similar to yours in that there is a specific theme or main ingredient for each day of the week. I also like to keep my time in the kitchen during the work/school week minimal, so I thought of all the meals i could make in about 30 to 45 minutes and extended this plan into a monthly or 4-weekly plan by creating variations on the ingredient/theme. For example, one day each week we have stirfry. So Week 1 we will have chicken and veg SF, Week 2 beef and veg SF, Week 3 pork and veg SF, week 4 tofu and veg SF. I also vary the sauces with this meal such as teriyaki, satay... I do the same variations on a theme/ingredient with all the other days of the week so that I have a "monthly menu plan". It really cuts down on the amount of thinking I have to do when I plan my shopping list! This is brilliant and something I would have never thought of myself! Thank you! What I've always done is look at the ads each week and get what I use that is on sale and then stock it in the pantry or freezer until I need it. I have a computerized grocery list and most computers come with templates that you can tweak so you don't have to reinvent the wheel. If you keep your staple ingredients on hand and have a recipe file or just make a list of your favorite recipes then you can just refer to it. I made a rotating menu grid for one month and put fish, chicken, beef, pork, etc. on a different day each week to mix it up. On the remaining days I put leftovers so if it's a roast then you can make sandwiches, one day is cook's choice to use up whatever you have on hand (be creative!) and another day to try a special or new recipe. 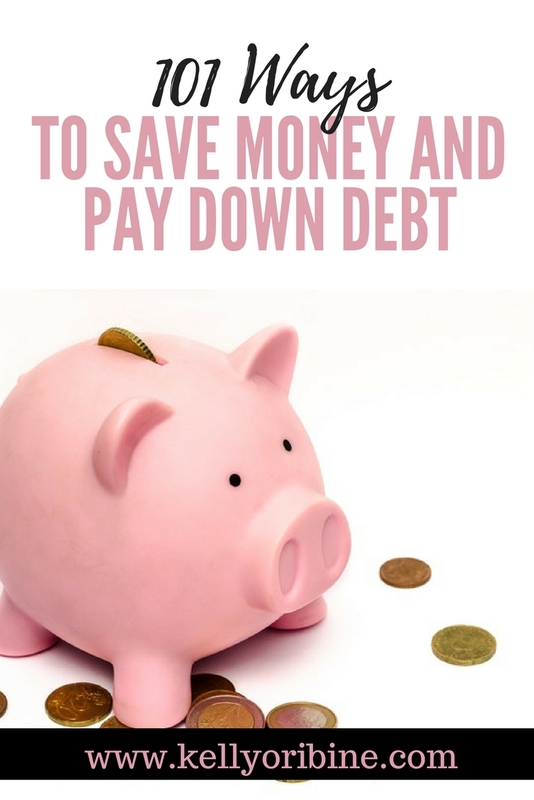 I save money by buying what's on special but I have choice and flexibility because I have what I need on hand most of the time and that saves money and hassle. You can also do some of the prep work ahead of time or cook/bake and freeze things ahead as well so that dinner time is not as hectic. Life is hectic enough, a little preplanning goes a long ways! I buy our meat twice a month from B.J's. I buy the purdue chicken breasts(12 to a pack, in smaller packs for the freezer), ground turkey/ground beef( put n 1-2 cup air sucked packages. Use for burgers, pizza toppings, tacos,etc.). They also have great prices on turkey bacon and hot dogs ( makes quick breakfasts and lunches). I always keep tomato paste, and bricks of cheese in my fridge. Noodles, flour, sugar Etc in the pantry. Then just add fresh veggies at the beginning of the week. That that way I have the freedom to make what I am in the mood to make, and have everything I need. I have a love-hate relationship with meal planning. When I do it, I love it. It is easy to make dinner because I don't waste time trying to think about what to make and I already have everything ready to cook when it's go time. Plus, I have a plan when I go to the grocery store so I know I have everything I need. Then I fall off the wagon and get back to standing in front of the fridge at 4:52pm wondering what I'm going to make for dinner... and it usually turns out terrible. Thanks for this idea-- I'll give it a go! Have a great weekend! This is what I needed thank you : ) I'm still struggling bc we don't eat dairy or gluten (allergies) and we try to eat about 50% raw foods. We do green smoothies daily and give them to the kids with breakfast or lunch. You would think raw food would be easier, but I have loved the ol' crockpot and my kids prefur a pretzal to a grape. I'd start a blog on this venture (I've recently dropped 30 lbs on the green smoothies), but there are so many already!!! Thank you for the wonderful posts and the inspiring way you engage your family. Just a thought...cooking for two people and keep a budget is much harder. Either there is no leftovers or just enough for one person, SOOO annoying. Any suggestions for cooking for two? As for saving money, I'm trying to start something new. I have the worst problem with buying an ingredient and only using a little bit, then it usually goes bad before I come back around to it. For example, lettuce is my enemy...yes I want lettuce on my burger, no I don't want the whole head of lettuce, grrr (I know better ways to store it but that not the point) The point I am getting at is if you have to buy alot of something (being for 2 people, most things tend to be a lot more than you need)try to plan meals for the week that use that item. Example: lettuce--mon-burgers, tues-tacos, wed-chicken salad, thurs-chef's salad, etc. Not very creative meals I know, but hopefully it gets the idea across. Do the same thing for whatever ingredient you tend to let go bad. That's all. Maybe it will help someone. One of the best things I read early in my marriage about food & food planning had a pattern: DOLDOL (double, one, left over, double . . .). This works for us. Last night we had LO chicken curry and made a double pot of rice. The curry is now gone, but I have rice to make a casserole or ? with. The pattern can be vegetarian, gourmet, etc or anything else you like. I've been known to make hamburgers and just fry extra meat which 2 days later is a shepherd's pie or casserole or in scrambled eggs, or over pasta, or whatever. That kind of cooking I can do. I tried OAMC, didn't work. I've tried rigid menu planning and like you it never worked. For us, the DOLDOL pattern works. I have 30 dinners that we like and do once a month shopping- and make sure to have all the ingredients on hand. Then I choose whatever I feel like that day. I also do weekly shopping (price match ads at Walmart) for great deals on produce and other items that I can get for next to nothing with price matching for my pantry. I actually just saw your post for your magnetic meal planner and am going to try that to keep track of the meals I make! I update my menu board every week on Sunday. I check our family calendar to see what's going on with kids/activities/work/etc. Then I plan meals accordingly. I usually plan for 1-2 slow cooker meals, at least one day for leftovers, and something easy like pizza or mac n cheese for the babysitter to make on date night. I also consult my pantry & freezer to see what I already have on hand and plan some meals around this. I try to squeeze in a new recipe to try a few times a month too! From all this, I make my grocery list and shop either on Sunday or Monday after work. This is probably the easiest way to plan meals per week that I have seen. 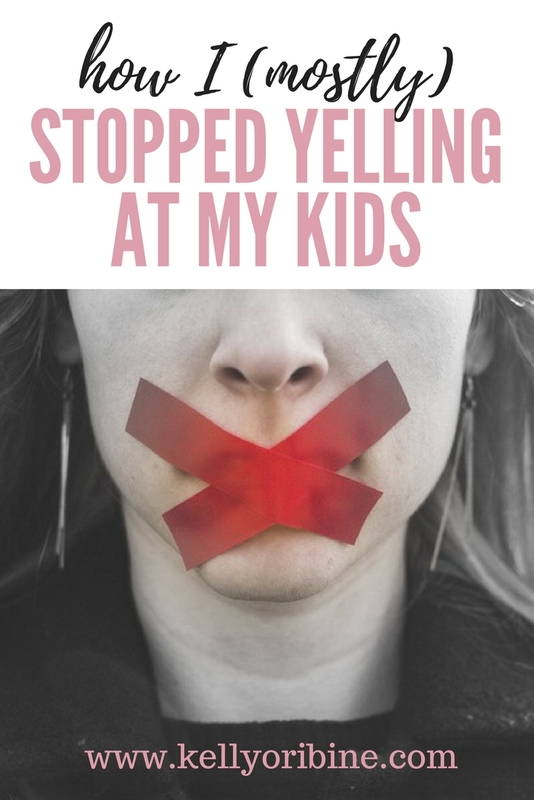 We have another baby on the way and I have been trying to find a way that is more efficient and less hairy in the evenings with a toddler running around just as hungry as pregomama. I have been trying to do things on a daily basis with a dry erase calender, which I can keep track of what we had the week before, but if I don't have the ingredients then I am back to square one. I am definitely going to try this out, it will definitely make me and family happier!